Lobby the Council – bring a placard! Last year several hundred people, including local school pupils, wrote letters to the Council asking that the Baths reopen for swimming. A consultation exercise for the HLF bid found quite overwhelming support for swimming in the building. 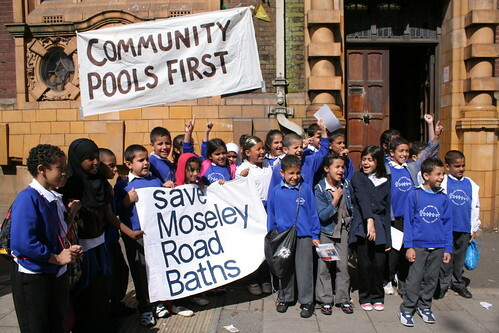 We’ve received so many messages from people upset that swimming may stop at Moseley Road Baths. It’s clear that local councillors are not representing the very clear wishes of local people and failing in their duty to provide swimming facilities. We appreciate that this is a mid-week lunchtime, but if you can commit to come along, make a placard etc. then this would be wonderful in demonstrating the opposition that exists to the Council’s policy towards the building. We know you are a creative and vocal bunch, and the press do so love a pretty picture, so please do what you can! We’ve been so heartened by the response that we have received so far from people furious at the news that the Council wants to close Moseley Road Baths for swimming from 2015. This is particularly frustrating, as they were so close to submitting what looking like being a successful bid, which would have secured the building for another 25 years and made it a viable Heritage and swimming facility. Councillors are making the case that they have no money, and have had the gall to cite the equal pay case as the reason for being unable to find the £3million to match fund the bid. In reality, £3million, to be spent in two years time, over the course of two years, to secure a building for 25 years and to attract £5million to a ‘deprived neighbourhood’ sounds like good financial sense to me (especially when compared to £12million for Harborne Pool and millions spent on the new library). The alternative is to do unplanned ’emergency repairs’ that can escalate dramatically and eat into other budgets. Or, the Council could allow this building, situated in the heart of Balsall Heath, to fall into disrepair, and for the area to see its high street become increasingly run down. A glance over at Stirchley Baths gives an idea of what we could expect. There is so much hand-wringing over ‘regeneration’ and ‘civic pride’ – the answer is literally on our doorstep. But surely this is ‘austerity Britain’, and we all have to tighten our belts? Speaking with one regular swimmer yesterday who relies on swimming for her health, and who is currently battling to retain disability benefits, closing the only local pool to her would lead to a further deterioration of her health. As cuts bite elsewhere swimming is a cheap, accessible way to improve physical and mental health, prevent isolation, and build the kind of cohesive, supportive community that politicians dream of. 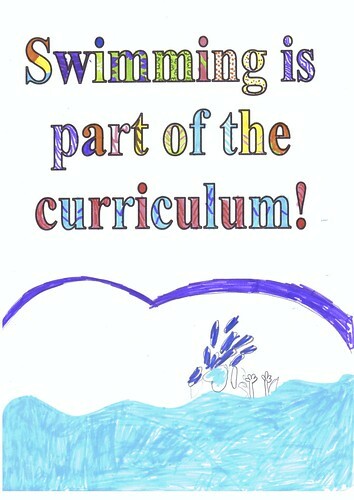 Let’s also not forget that many school pupils in the area are failing to meet the standard for being able to swim a length by the time they finish primary school. When both pools were open at Moseley Road Baths there was a full programme of school swimming. Now kids just get a taster, maybe a term a year. Nothing consistent, not enough to gain the confidence to learn this crucial life skill. This isn’t about chasing the Olympic dream. It’s about meeting the national requirements. Last Autumn when the Heritage Lottery Fund bid was being submitted, I was part of the consultation exercise conducted by Birmingham Conservation Trust. They were quite overwhelmed by the responses they received. School teachers were discussing how the building could be used for Science lessons, dancers wanted to use the Gala Pool for performances, students came and practiced their photography there. I’ve lost count of the number of people who have been in touch wanting to use the building for filming. And everyone is eager to see some kind of permanent history exhibition there that teaches kids and adults alike about this marvellous building’s history. So this COULD be viable. It COULD be something people would travel to visit. It COULD be a real source of pride for Balsall Heath and Birmingham. Unfortunately our local councillors just continue to bring shame to our area, with no vision, no commitment to the neighbourhood and no idea of the needs of local residents. If today’s reaction to the news is anything to go by, they have a shock in store…. On Wednesday 9th January, three local Labour councillors, Lisa Trickett, Victoria Quinn and Tony Kennedy, and the Deputy Leader of the Council Ian Ward, met with the Friends of Moseley Road Baths and announced that they saw no long term future for swimming at Moseley Road Baths in Balsall Heath. Friends of Moseley Road Baths represent pool users and those who care about the building and the future of swimming in the city and have campaigned hard over many years for the future of this well used Grade II* listed Edwardian swimming pool in inner city Birmingham, described as a “gem” by English Heritage. Recently the council’s passed up the opportunity to attract several million pounds of Heritage Lottery funding to restore the building, on the basis that the council has no money to match fund. Instead they say they are committed merely to preserve the fabric of the building. The Friends of Moseley Road Baths believe that swimming is a vital part of its future as a heritage building. Closing the facility for swimming would leave local schools without a place to swim, meaning that a majority of local pupils would not meet the national standard for swimming proficiency. There is a proposed new pool in Sparkhill. Work however has yet to start. Even with that pool up and running, local schools and residents will not have enough swimming time (especially for women-only swimming which is in high demand). We challenge their decision and will be deciding our strategy this week at an open committee meeting in Balsall Heath. We learnt earlier this week that the Council’s bid to the Heritage Lottery Fund for Phase 1 of restoration work to the building will not be put forward as they have decided that they will not be able to put £3million match-funding towards the £8million bid. The full text of their letter to us is below. We will be issuing a press release shortly. Thank you to everyone who has been in touch with your comments. We know that there has been a huge amount of support for this bid and hundreds of people have been involved in the consultation exercise. We will be working hard to make sure that your views are heard. Our campaign is on a roll! HUGE thanks to everyone who has sent their letters to Cllr Kennedy and copied them to us as part of our latest campaign! Councillors in the Hall Green Constituency of all political colours should be in no doubt that the public are passionate about reopening Moseley Road Baths for swimming and securing its future as a swimming facility. We will be handing Cllr Kennedy, as Chair of the Constituency your letters. Please attend and add your voice if you can! As well as sending in your letters, we are encouraging people to take photos to express their support. 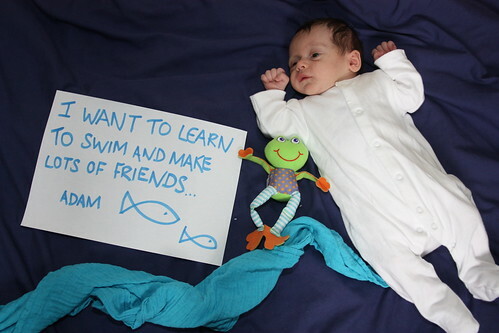 We want to illustrate why people enjoy swimming at the Baths, so get a marker, some paper, some swimming props (be as inventive as you like!) and get a snap that we can share online and at the meeting! One little boy has already contributed! We’ll be at Kings Heath Farmers Market this coming Saturday (3rd March), so come along and have your photo taken by one of our volunteers! Baths on track for April reopening? This is the latest update we have from Cllr Mullaney about work to the building and the prospects for reopening this Spring. A further update will go out soon about a bid to the Heritage Lottery Fund. Update on Moseley Road baths – 26th February 2012. Work on the final phase to get Moseley Road baths re-opened in April is well under way. Followers of the present saga to get these historic baths re-opened will be aware of how much hair I’ve been pulling out over this issue. What started out as a six week closure in December 2010 for a simple lintel replacement, escalated as health and safety found more and more issues to prevent its re-opening. Each issue has been resolved and we are now on the final piece of work to remove all the flaky paint from the ceiling of Pool 2 and to replace all the stolen roof lead. As you will see from the attached photos of the interior of Pool 2, the erection of the scaffolding is nearly complete. The scaffolding will be complete on Wednesday 29th February – one and a half weeks ahead of schedule. Removal of the flaky paint using a special epoxy resin will begin straight away. A specially developed Dulux paint for use in a high humidity atmosphere will be applied. Flaky paint removal and repainting will take three weeks. Removal of the scaffolding will then take 10 days. Replacement of all stolen lead with a lead substitute will take place in parallel. Also, using the knowledge of the pools staff, efforts will be made to get rid of other roof leaks. We estimate that all work will be complete by 4th April. The pools re-opening will then be based on how long it takes to refill the pool. Thank you all for your response to our campaign so far. We’ve had an impressive response which really highlights how passionately the public feel about the building as a swimming facility! The Labour Party has now contacted to us as a result of our most recent campaign, clarifying their position on Moseley Road Baths (full text here). Whilst we welcome this, there are still a number of issues we feel have not been addressed (this is equally true of other political groups in the city and other councillors in the Hall Green Constituency). We will be taking these up with local councillors and candidates and would urge others to continue to lobby. You may wish to include some of these points in your own correspondence. Your position makes no mention of swimming. 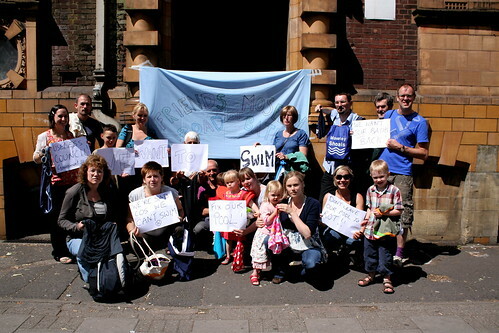 Please can you clarify your position on Moseley Road Baths as a swimming facility? You tell us we need to ‘all engage constructively’ even though we are only just being given information about the Labour Party’s position in response to our campaign with an election looming. We are a visible, vocal campaign group yet you have not engaged with us so far. Given such an appalling track record of consulting with the public and engaging with The Friends of Moseley Road Baths, can you give us a concrete idea of what ‘engaging constructively’ looks like? How will pool users and local residents be consulted and kept informed? The last Constituency meeting in January 2012 voted to draw up an options appraisal on the future of the building. Surely deciding to put the Baths into Corporate control preempts this? You have declared and voted on one thing in public yet intend to do something else. Moseley Road Baths are already ‘under central’ in terms of capital provision and refurbishment. Provision of a swimming facility for the local community and its day-to-day running and maintenance are the responsibility of the constituency. This is so for all the constituencies, together with an annual amount from centre towards these. Refurbishment works are capital works and are already under the centre. Birmingham City Council does have a Heritage Strategy in place, (BCC Heritage Strategy 2007-12.pdf) , and a Heritage Steering Group, and an application for national Heritage Lottery funding is scheduled for Moseley Road Baths this April. Will you commit to backing the HLF bid which is currently being developed? The running of Birmingham’s Sport and Leisure facilities is currently out to tender yet you make no mention of this in your statement. How does this fit in with your position? You seem to want to put emphasis on the actions of the current administration. We fail to see the value of this beyond party politics. This is an unnecessary distraction and we refuse to be drawn into it. We take the actions of political groups and councillors on their own merit. We have received the following statement from Labour Party candidate for Moseley and Kings Heath ward Lisa Trickett in response to your e-mails and letters. Like many of you, and as a once regular user of Moseley Road Baths I share your frustration at the continued closure of our local swimming pool. Along with the Labour Councillors on the Constituency Committee I support your campaign to secure a sustainable future for the Baths, which was exactly what officers were asked to explore at the last meeting of the Constituency Committee. The Committee also wanted to be advised why the current administration had not sought to make Moseley Road Baths a corporate priority which is seen to be the first step given that Constituency Committees do not have the powers or resources to deliver on such a significant asset. We continue to urge the Council to take corporate responsibility, however, following representations from myself and Cllr Kennedy, I am delighted to be able to confirm that the Labour Group has now agreed that in the event of Labour taking control of the Council, the Baths would be made a corporate responsibility enabling the combined capabilities and resources of the Council, community and key stakeholders to be brought to bear in securing a future for the Baths. At long last we have a potential opportunity to work together to deliver a positive outcome. It is critical that we ensure that that we all engage constructively in the outcome we seek and together secure a sustainable future for Moseley Road Baths. I along with my colleagues look forward to talking with you further. attend the meeting (see notes below). Messages can be in any format: signs, pictures, posters, cards, letters, photos, videos etc. Please get them to us as soon as possible and by the 16th March at the latest. 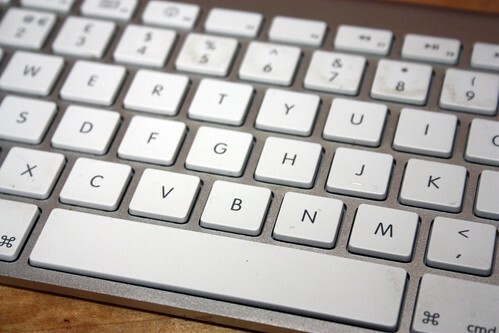 Write your message to the Constituency Chairman, Councillor Kennedy, and send a copy to us. We will present it at the meeting. The Hall Green constituency meeting is at 7pm on Tuesday 20th March. We will inform you of the venue once it has been confirmed (likely to be in Sparkbrook).